Next month, Huawei in Paris will announce its leading P30 targets. 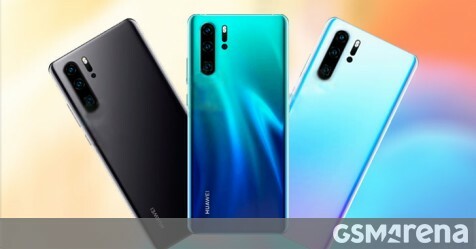 Maybe it will be another month for disclosure, but press releases have already been released, revealing the key features of the Huawei P30 and Huawei P30 Pro. The Huawei P30 Pro will have four cameras and deliver a 10x hybrid zoom-telephoto lens along with a 5x zoom. The installation is quite unusual, with one shooter, probably a ToF sensor, located away from the three main catchers. We also see the curved edges of the front – it looks like the Huawei P30 Pro will accept the design Mate 20 Pro. There are no visible fingerprint readers, so it is probably below OLED. The Huawei P30 is also a beauty in itself. On the reverse side there are three shooters with all the LED flashing and sensors under the camera setting. We see a more simple approach on the front – a traditional 2.5D curved glass, a water-jet notch and the smallest frames that Huawei can now produce. We also expect to see the first version of Huawei's leading model with an OLED panel and optical fingerprint reader instead of physical on the outside. As far as the specifications are concerned, we are pretty sure that the devices will have a Kirin 980 chip set, but we want to see if Huawei will install the Balong 5000 modem for the 5G speed in selected markets.